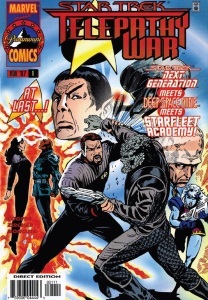 Star Trek Comic Book Review #178 is now available for download HERE and via iTunes. In it, we cover the final issue of Marvel’s Telepathy War crossover event plus the final two Deep Space Nine issues published by Marvel Comics. 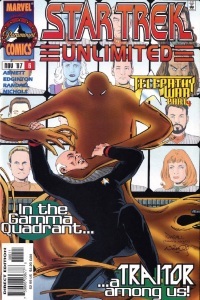 Next week, we will cover Star Trek Voyager 14 to 15 plus Voyager Splashdown #1. 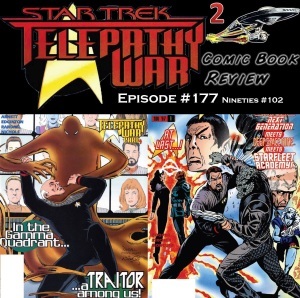 The final issue covered in episode 177 was Telepathy War #1. The first issue covered in episode 177 was Star Trek Unlimited#6. 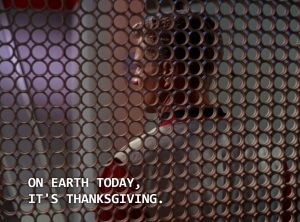 KIRK (to chef): On Earth today, it’s Thanksgiving. 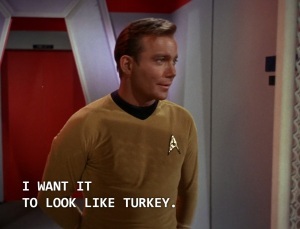 If the crew has to eat synthetic meat loaf, I want it to look like turkey. Surprisingly enough, I could not find any comic references to the holiday. Maybe I will find one for next year. Happy Holidays! 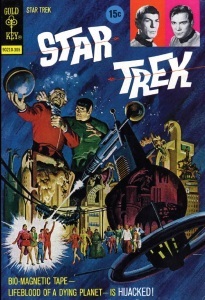 The final issue covered in episode 042 was Gold Key #9. 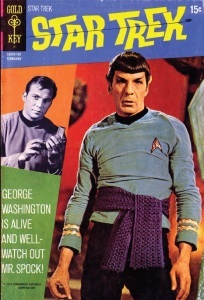 The second issue covered in episode 042 was Gold Key #8. 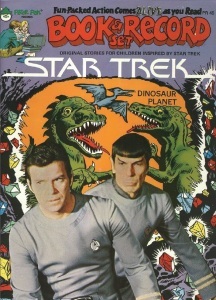 The first issue covered in episode 042 was Peter Pan Records’ 9th Star Trek story. 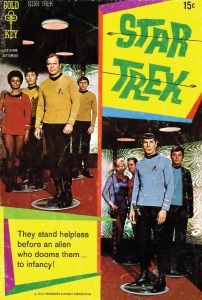 Star Trek Comic Book Review #177 is now available for download HERE and via iTunes. 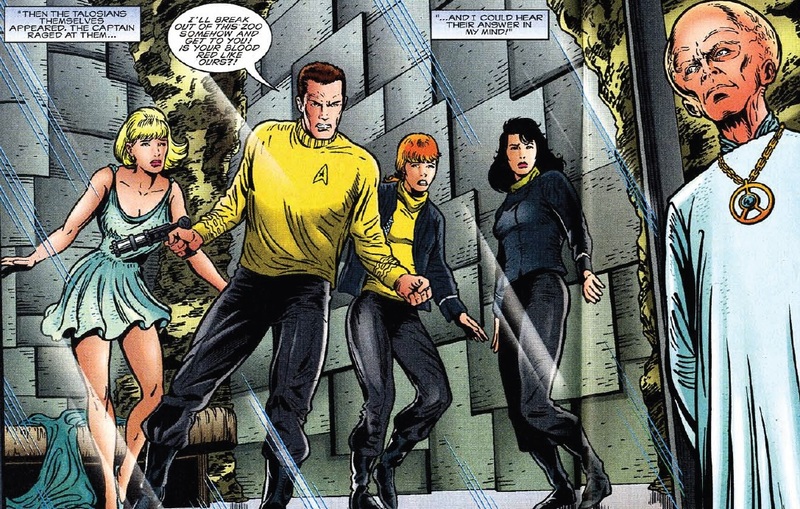 In it, we cover the next two issues of Marvel’s Telepathy War crossover event. 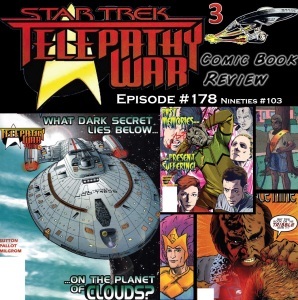 Please join us while re review Unlimited #6 & Telepathy War 1. Next week, we will cover Star Trek Voyager 13 & Deep Space Nine 14 to 15.